Meet the managing director of Panasonic Malaysia, Mr. Yosuke Matsunaga! How often do you feel you're too busy in life that you hardly have time to pamper yourself from head to toe? Now, Panasonic has indeed made life easier and more convenient by providing beauty tools that you can use anytime, anywhere. Great for both home and travel! During the recent Beauty Cafe held by Panasonic Beauty, we get our hands on 4 main categories of products-- Hair Care, Face Care, Body Care and Mobile Beauty. Let's check them out! Enjoying hair makeover like a princess! 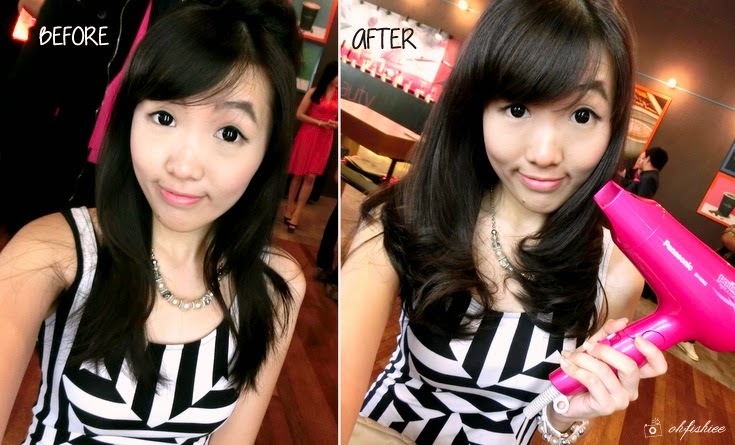 Thanks to the professional hair stylist for transforming my dull hair to a feminine hairstyle! He only uses two gadgets-- the latest Panasonic EH-ND62 Pink Hair Dryer and compact Hair Straightener, to create the silky and shiny waves. I personally love the hairdryer!! Well, not just because it comes in shiny pink exterior with foldable handle. It's because it contains ion charge function that penetrates moisture deep into the hair and acts as a protective coating. No matter how I blow-dry my hair, it doesn't damage tthe hair at all! Plus it comes with a diffuser that helps to create volume and style the hair from roots. 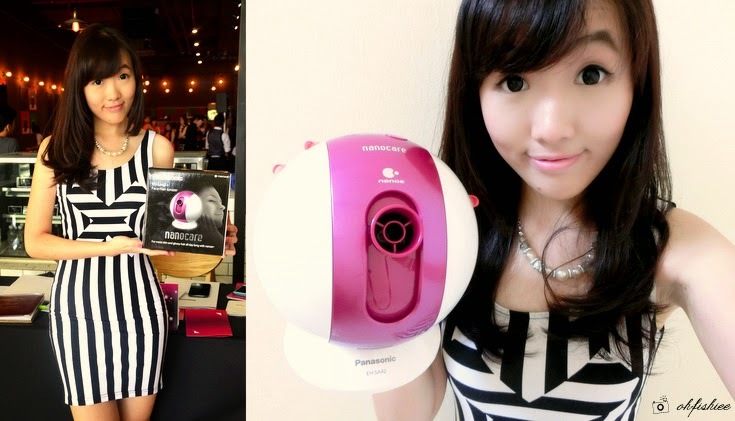 Definitely a must-have gadget to achieve easy salon-style results from home! 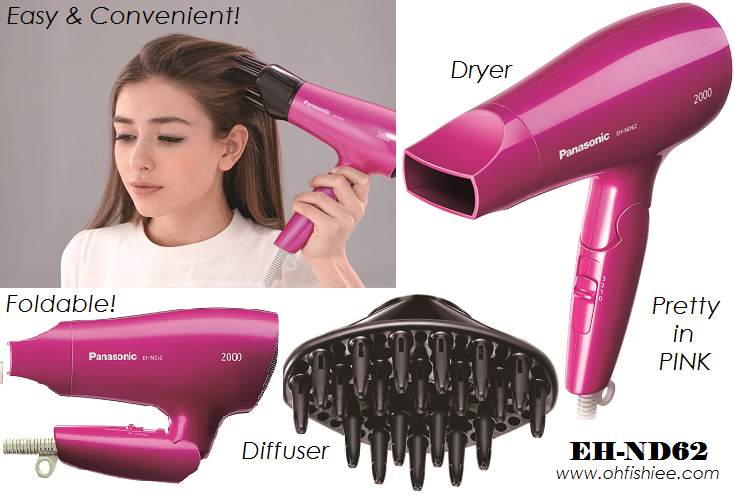 Panasonic spoils us with choices from quick dry hair dryer to silent and compact hair dryer! Latest addition in the hair care family: Nanoe Hair Straightener and Nanoe & Platinum Ion Hair Dryer that double the ions and therefore better moisturizing effect for beautiful hair and healthier scalp. I'm eyeing on the 6-in-1 multi straightener! It can do all the styles from super straight to volumized, extra large curls. Plus, I learned that it is also less damaging to the hair, therefore reduces color fading too. Different brushes for varying styles. Great for salon and home use. Apart from hair, I think face complexion plays the most important role in our daily appearance. In Panasonic holistic facial care range, I found something really good to deeply hydrate the skin! 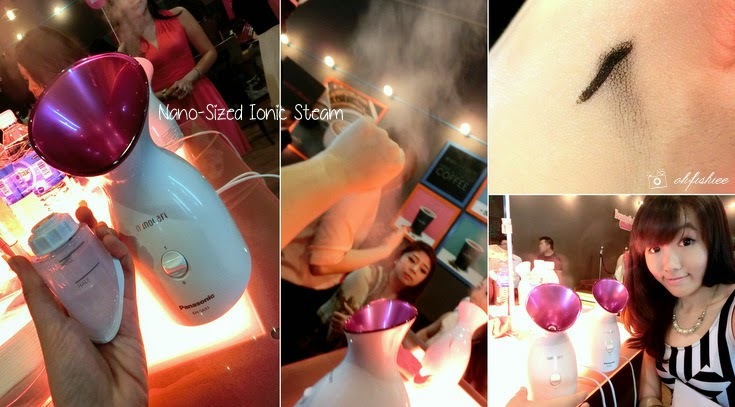 Just sit 6-inches away from Panasonic Facial Steamer and enjoy the nano-sized ionic steam that softens the skin for deep moisture retention. During the demo, it highlights on deep cleansing as it opens up pores and removes makeup easily. Even long-wear mascara melts off so easily within seconds! Newly added into my daily beauty regime is the Face-Hair Ionizer that releases nanoe ions to refine skin texture and nourish soft, elastic hair. Can't wait to see the result on my skin! Focusing on the Wet and Dry Epilators, I find it interesting that the wet shaving feature allows us to enjoy body grooming in the shower with its unique foam creation feature. 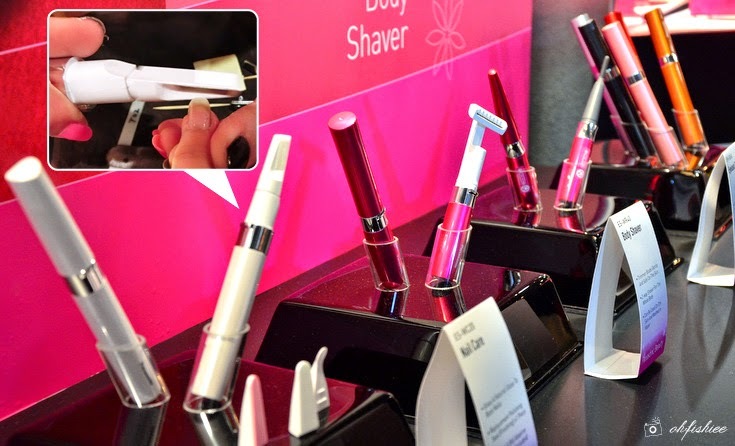 Aww....why didn't I discover the range of awesome on-the-go beauty tools earlier! I must really thank the person who invented this for making my life easier. For instance, Panasonic electronic eye lash curler, portable toothbrush (Doltz) and nail care products can help to achieve the best look at the shortest time! I have tried the Nail Care tool which comes in 4 detachable attachemnts-- Filing, cuticle care, coarse polishing and smooth, finishing polishing. Time to save my money from going to nail parlours, because perfectly manicured hands can now be done at home. 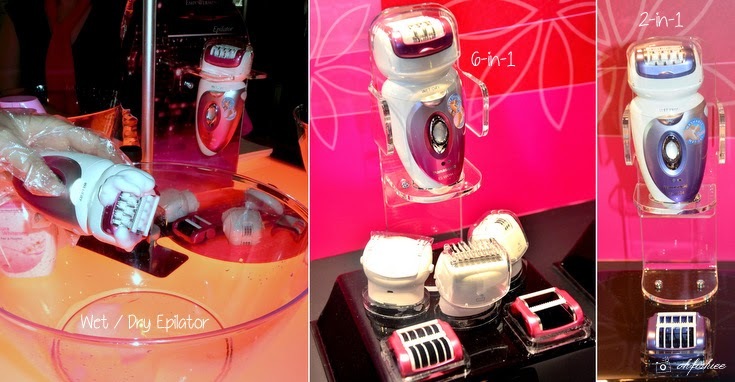 During the event, we also get a sneak preview of the new products that Panasonic will bring in for beauty lovers in Malaysia soon. 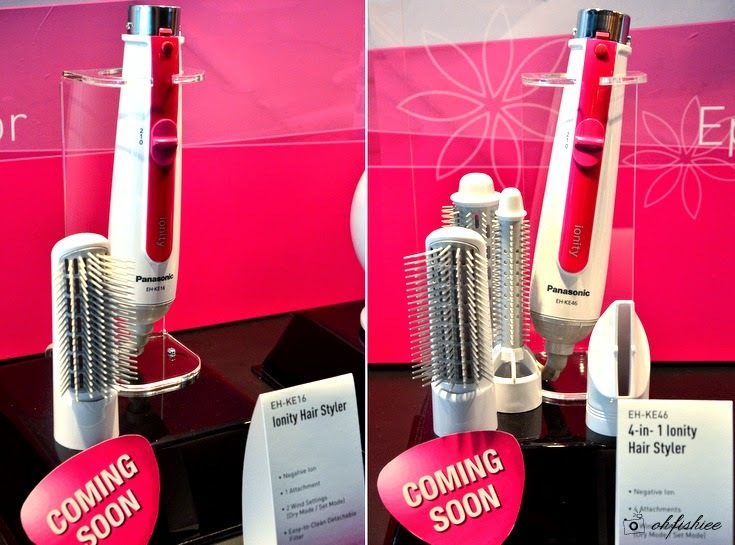 Are you excited about the latest Scalp Massager, Thermal Aesthetic Roller and more? The names themelves are already so techy, I've tried them out and they're fun and amazing! 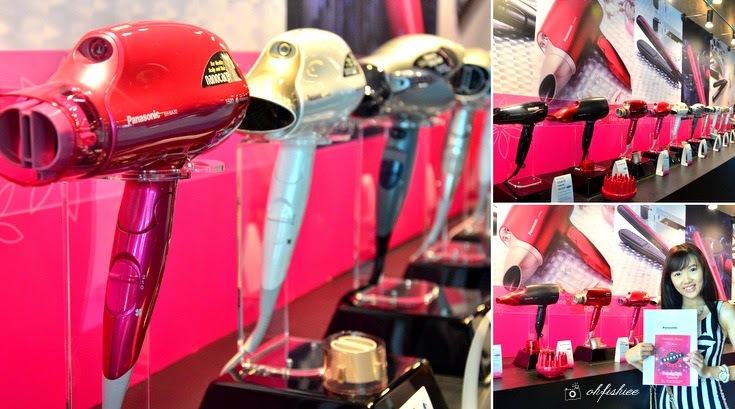 Visit Panasonic Beauty Malaysia's Facebook page to know more about the products! There is so much happening in M'asia and Singapore for bloggers.